If you had to write one sentence to describe your company what would that be? This is the first question you should ask yourself when creating a brand, but remember it is not something that you finish and put to bed, it should continue to evolve. Over the years the message gets refined, it can’t remain static, it’s got to move with the times and keep resonating with that core group of people that you have targeted as your customers. Then as they change, as the times change your message needs track along with them. “The world is very complicated, very noisy and we have to communicate through this noise and stand out. We have to be really clear on what we want them to know about us,” Steve said. You have to define your target market, resonate with a particular group, and ask what is the core component that you are trying to express to the world? What are the values, what does my company stand for? Your brand is the core inside the company, that’s the value, of what the company stands for. If you don’t understand that then none of your customers will! You have to understand that core customer group, the more you understand that group the more they are going to be attracted to that meaningful magnetic message that will cut through the noise. The clearer the pathway that message travels on between your company and the core group of customers. Find ways to let your core values express themselves in such a way that it will resonate with your core group, something they can identify with. So the brand needs a way to express itself. By honouring Athletes that their core group of customers look up to, they immediately come across as very powerful in marketing campaigns and commercials. Apple applied this methodology to their Think Different campaign. 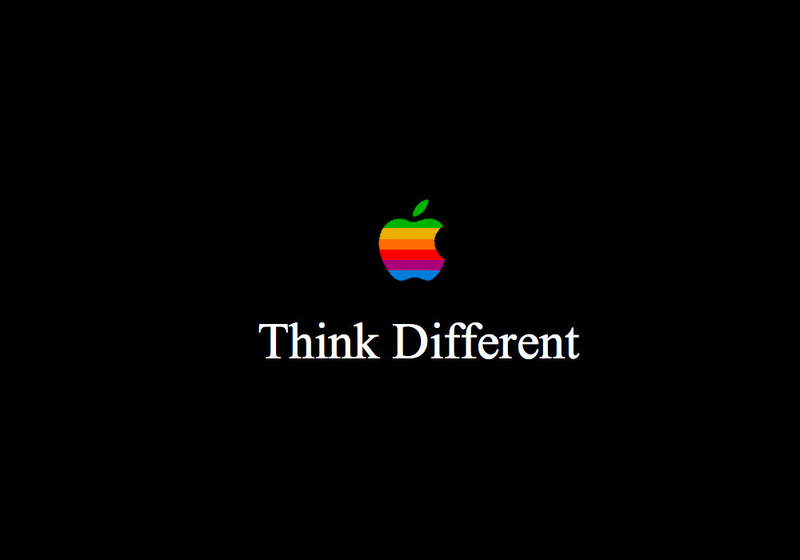 The bite in the Apple logo makes that simple shape a little ‘different’ and they attached themselves to people that their core customers would identify with as being different, people who changed the world, creating one of the most successful ad campaigns in history. If you are interested in branding you must watch ‘The’ greatest marketing lecture you will ever see. Steve Jobs, talking to his staff in an internal meeting in 1997.